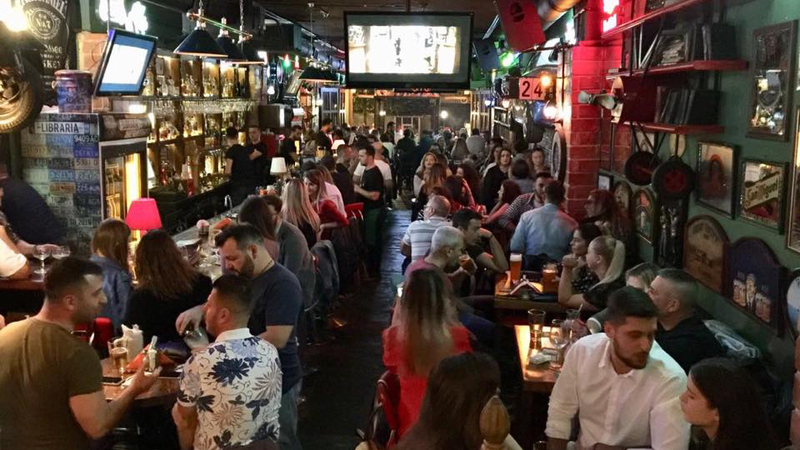 Enjoy a rich beer and pub food variety surrounded by the warmth of books in this welcoming, perpetually busy Irish pub located in the heart of Blloku. People, music, and plenty of beer! This triptych is always present at Libraria, a pub that never ceases to serve drinks and nice pub food to its loyal clientele. 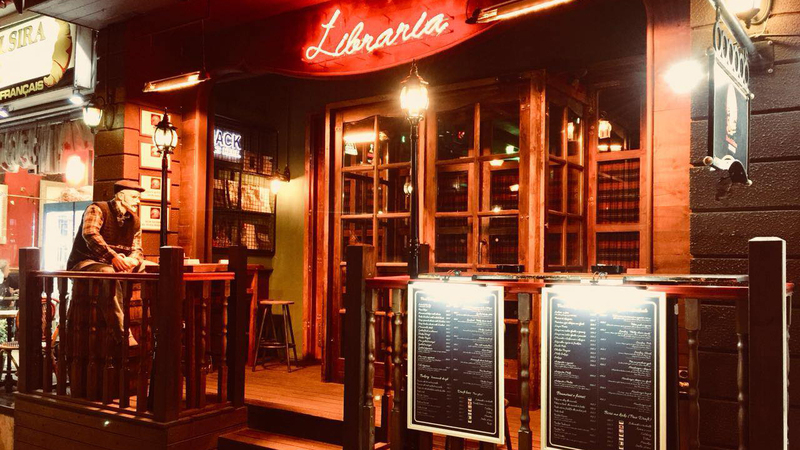 When it first opened, Libraria, which translates to “bookstore,” made a splash for its book-filled décor, rafts upon rafts exposing infamous Communist-era texts. Once upon a time, one could easily grab a seat, order a beer and leaf through one of these artefacts. 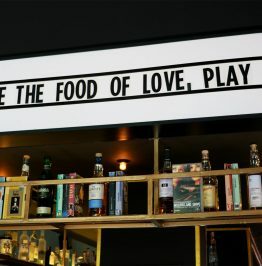 Fairly quickly, however, people invaded Libraria and nowadays, it is difficult finding a seat in this hyper-popular pub, and even harder reading a book! Designed like a typical pub, Libraria’s extra-long bar exposes a great variety of drinks and especially draft beers. 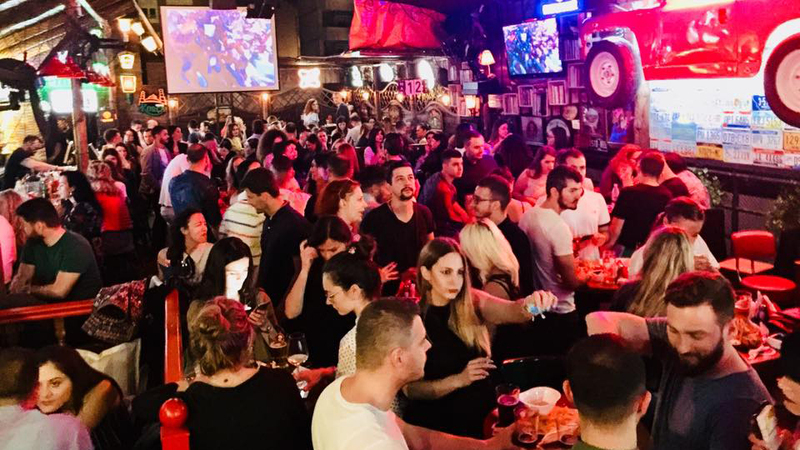 Some of the most popular beers served at Libraria are Korça, one of the best domestic beers, and international fare like Paulaner, Heineken, Kaiser, Tuborg, Stella Artois, Veltins, and Gösser, among others. 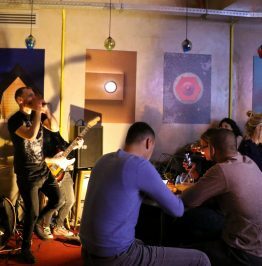 Like several of the most successful bars in Tirana, Libraria has two different seasonal locations. However, instead of moving all the way to the Southern Riviera for the summer, Libraria keeps its location in the capital. Libraria, normally located at the heart of Blloku, across the famous Sky Tower building, opens up a nicely sized terrace in the summer. 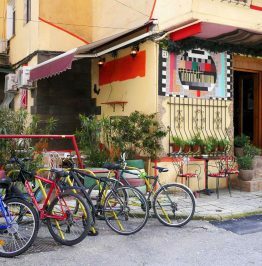 Only a block away in the same Blloku neighborhood, near the dance club Lollipop, Libraria welcomes those who stay in Tirana for the summer. 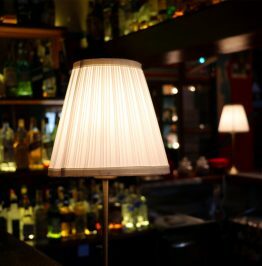 Equally popular in all seasons, Libraria’s main claim to fame is its wonderful mix of beers, food, and cozy atmosphere. 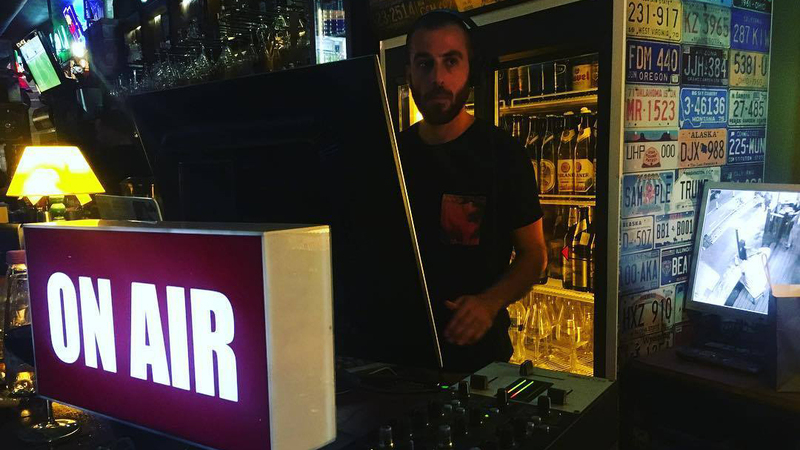 Much like its beer selection, the music changes periodically and includes local hits as much as international pop, rock, dance or whatever the day’s or night’s atmosphere calls for! To best accompany your beer selection, we suggest Libraria’s Nachos with Philadelphia or Olive Focaccia.